Dust 2 Dust: Soulful...A Lil Gem For You All..
Soulful...A Lil Gem For You All.. This is some heat!! Thanks Eddie!! gotta alove black ivory. what a group. 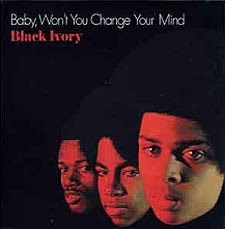 I grew up listening to Black Ivory. Me and my sisters would be downstairs, imitating their 3-part harmony, making up dance steps. We each wanted to marry one of them -- Russell was my pre-husband. LOL What a gem this is! "Just Leave Me Some" was my jam, but "Time is Love" is the song I fell in love with and TO...too many times to count.